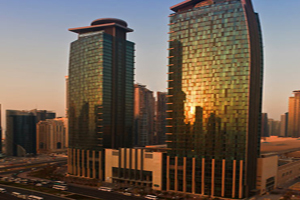 Marriott International's Renaissance Hotel Doha City has opened for business and unveiled four restaurants. Dining options include Quick Bites, Cucina, Crossroads Kitchen and Champions Restaurant. The 234-room property has a ballroom and nine meetings spaces. The ballroom can host up to 600 for a banquet and can be divided into six individual spaces.